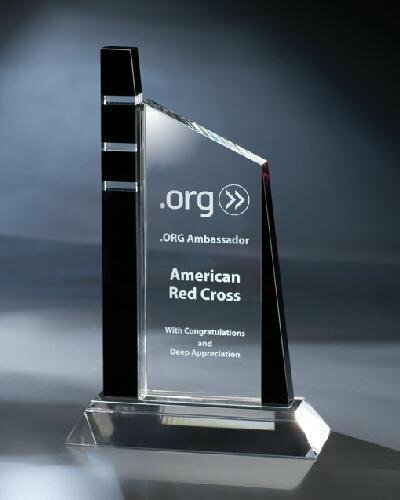 The Hour Glass acrylic award plaque's rectangular shape and graceful double bevel form a perfect union of beauty and elegance. Available in your choice of blue, red, green, gold or purple reflective bottom. Huntington is part of the Chien J. Wang Collection designed by international designer Chien J. Wang. This piece features unique zebra lines on the side bar by alternating black and clear crystal. Chien mixes architectural influences with fashion and the result is a very fashionable crystal award.